All hell broke loose when an acquaintance of Sr. T told him that his particular school was very strict about English being the only medium of interview or interaction, as schools prefer to call it these days. His daughter was a student in the primary section and a couple of sample questions that he mentioned definitely seemed a little too tough for a three-year-old. Adding to that was the fact they never translated any question in Bengali or Hindi even if the child failed to understand it. And when the child answered, it had to be in English as well. I can only guess they go by the logic that if one is looking for an admission in an English medium school, he/she should start speaking the language ever since they start uttering words. Of all the family members, my father-in-law was the one who was hugely furious with this particular school. His reaction went from disbelief (‘that’s simply not possible’) to anger (‘how illogical can they be!’_). My father, on the other hand, had a simple suggestion – ‘go for the experience but don’t get him enrolled here.’ But as enthusiastic first-time parents, we started working on his mode of communication with the support of his play school. The child was super confused to see the daily ritual of his grandparents calling out “uthe poro”(get up) being replaced by “good morning.” Now he didn’t have the luxury to say goru, kukur, and chagol when the respective animals were pointed out to him. Instead, he was expected to say cow, dog, and goat. Twinkle, twinkle little star was music to our ears while aata gache tota pakhi (a Bengali rhyme) was temporarily banned. In this entire phase of the struggle towards transformation, one individual who was quite happy with this change was Tuneer’s preschool class teacher. Until then, whenever she pointed out his refusal to speak words in English, Sr. T would always defend our son stating “Ma’am, he will learn eventually.” Now it was our turn to keep asking her about his progress in this learning phase because we barely had two months to familiarize this boy with a few selective English words. Talk about a twist in the tale! The boy, who seems to have taken after his father in terms of ensuring that they leave no stone unturned to annoy me turned out to be smarter than expected. While we tried to teach him a few common words, he decided to be more selective and learn only those words that he liked. While he had no qualms in stating his father’s full name correctly, his response to “what is your mother’s name?” was always met with a naughty grin and the word ‘mummum.’ At times, he kindly added the surname but it never went from Mummum to Sonia. Not even when he was asked this question by the interviewer in the same school. No amount of cajoling, scolding or chocolates managed to get the correct answer out of his mouth for reasons best known to him. After the first experience of this interview, I realized that the only way to make peace with this tiny creature was to let him speak words in both the languages. So, his response to his name now sounded like “Amar Naam Tuneer Banerjee” followed by the translation “My name is Tuneer Banerjee.” I was hoping that with this deal, he would at least start answering my name correctly. As luck would have it, the question related to his mother’s name was never asked in any other school interview. Which means it had become a win-lose situation for us with the boy winning this round hands down. I hope you liked reading about B or my son’s love towards the language Bangla. Stay tuned to know what is C going to be about as I come up with a fresh post tomorrow. Omg.. I already feel connected to Tuneer. Its so realistic that I can feel every bit of your emotions. Jr. T is adorable 😍 Kids learn fast and in no time he’ll be fluent in all the languages he is exposed to. Enjoy this phase when he’ll mix up all the languages he knows and create his own words too! Bengali is a beautiful language. I have a few Bengali friends and when I hear them speak among themselves in Bengali I often reflect on how sweet the words sound with a stress oh the syllable ‘sh’. I can imagine how sweet Bengali must sound spoken by your son. You have written about your experience of teaching a child English in a very entertaining way. Kudos! Enjoyed reading your second post. I thought mother always had the veto power, though grandparents were powerful members. Young kids have to go through a lot pressure these days to get admitted in a good school, that too an English medium school. I guess pressure on parents is even greater, because if kid does not get in there is society that sneers. We have all gone through this. Admission to a school is one of the scary parts of childhood. I was laughing throughout the post! What a struggle you have been through. I have had an opposite experience. My daughter was ok with English before joining the pre-school we chose. But after joining there, she forgot all of it, because the teachers there spoke only in Tamil! We were in TN at that time. We were horrified! But jokes aside, it is great to learn new languages. I got the chance to be connected with a few Bengali friends and I can totally understand his love for Bengali language but it is ok, Gradually he will use to with the fact. I was also a very talkative and no wonders now it is almost the same. I loved the pictures of Tuneer! This may seem amusing to us as we read it, MumMum, I mean Sonia, but I am sure you went through hell while it was happening! So much pressure on a 3 year old! It’s just not fair! Learning Mother-tongue (language) is a must and parents should converse with the child in that language. Language like Hindi, English can be studied at school or the in classroom of LIFE. Wonderful post! Aaami o Bangla bujhte pari,ektu ektu bolti pari.. I love the language. Weather we like it or not, Learning through mother tongue is still a challenge in India. English is the big Yes! Quite interesting… I always feel so amazed to think about how kids make us love them even more with their creative n naughty ways… my son (6 now) learned Hindi first and while we started telling him to speak in English for school & society, he had this thought deeply engraved in him that not everyone will understand English. So for every sentence, he used to speak in English, he would translate it to Hindi immediately after that. This was his way of making sure that we understood exactly what he intended… I really found it funny many times and annoying at a lot others… Hahaha! And a beautiful post reminded me when My V was a toddler. This was a fun read, Sonia. You know I also spoke exclusively in Hindi with both my sons. Since we lived in Bangalore, I wanted them to pick up Hindi at home first before learning some other language. But when the older son became 3 years old, I was surprised to know that there were schools that asked them things before admission. We got a few board books and taught him some basic colours, shapes, vegetables etc. in English. But eventually we did not apply to that school. The school he finally got admission in just wanted the child to play around asking him nothing. They also asked some questions like what is your name, what game do you like that we translated into Hindi so that he could answer. I find it very foolish that schools expect 2-3 year old kids to comprehend English. Tuneer is adorable and so very sweet too. 🙂 I like his mischief peeking through in his answers. Hehehe….poor kids! What all they need to learn at an age when they are supposed to play and have fun! Your post reminds me of the times when there used to be admission time at my school, and I would see parents teaching their tots to reply to questions in ENGLISH ONLY! The look in the children’s eyes spoke volumes about their state of mind. I had a lot of smiles reading this. 🙂 My son keeps watching a bengali rhyme on youtube which goes like ‘bondu tomato..’. He loves it. None of us understand most words, but we enjoy it. Your post reminded me of the time when my younger one was this age. She was fluent in Hindi and when we were going for her admission to a reputed school, we faced the same issue. A fun read. Ha Ha! Partners in crime ! I guess sons always go after the fathers when it comes to irritating moms. Hahaha! Loved this post! “Mummum” 😀 😀 😀 Super cute! Sonia this is so well crafted. 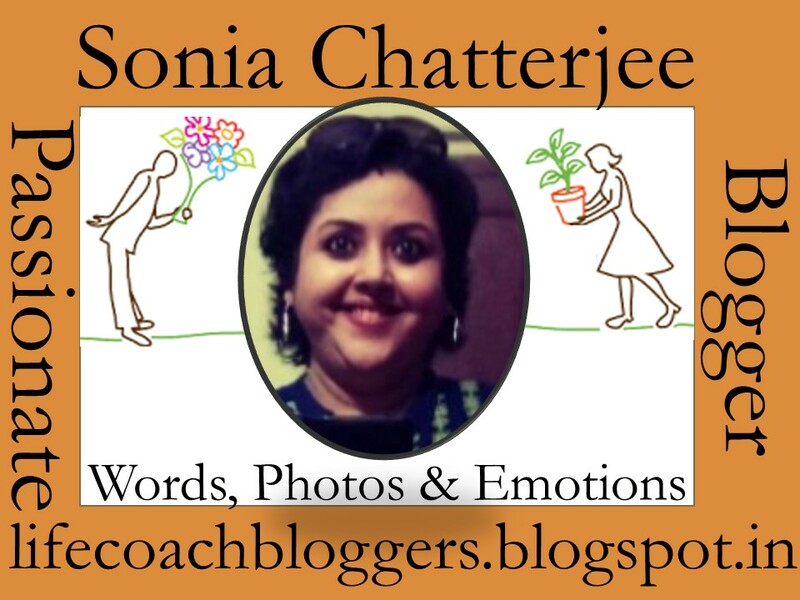 Hi Sonia, I found your blog through the A to Z Blogging Challenge. Really funny post! It sounds like your son is really smart too. This was such a struggle for me too! My son speaks mostly in Hindi and loads of people told us that would be a deterrent in admissions. Let me tell you, now that he’s picked up English quite fast, I’m worried he’ll lose his Hindi because they don’t use it at school! Such a sad situation when schools deride our mother-tongues. May I please say here, Kahani ghar ghar ki. I faced the same reactions and protests from in-laws , in fact from the dear husband too. English is something you don’t have to fuss about, she will learn it eventually. But this eventually keeps shifting base until you pull it towards you with full force. 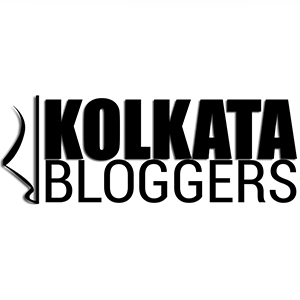 Lovely series Sonia, I love the personal anecdotes you adding with darling jr. T.
I was smiling all throughout while reading this post and believe you me, I am happy to have come across such a smooth blogger with admirable command over the language. Not once did I lose interest and it seemed like conversing with you. You made something really ordinary as interesting as it can get. Looking forward to sharing thoughts and enjoying more creations from you. The feeling is mutual 🙂 . Families that speak in their native languages at home usually face this issue. Have been parents going to great lengths to ensure their child performs best in those ‘interviews’. Loved your narration Sonia and coming back for the next part tomorrow. I can only say that schools these days indeed put a lot of pressure on kids and more than kids on the parents. Loved reading this post too. What a heartwarming post! Lovely to see your son’s love for Bangla. I have heard this story told many times how I refused to answer questions in one school and wouldn’t shut up in another – both times successfully embarrassing my parents! Its just your second post and I am already getting nervous about my DD’s admission. She has to face interview in aug. And for hwr everything depends on her mood. Hahaha, O my God, I never thought that a mere language can play havoc in the life of a 3-year-old. Now I know where we need to put the efforts before we fill up the admission forms this year. Dang – this was such a quandry Sonia. Hats off to you guys in dealing with it. I had no idea schools make parents/kids go through so much stress over something like this. I have always wished that I would have too learned one more language while growing up – all my friends from other regions are so well versed in their mother tongues. This TamBram friend of mine has her son speaking fluent Tamil while in US and her hubby is a Punjabi. I cant even begin to imagine the mix he is going to learn – envy him for it as being multicultural is a blessing. I never taught Vibhu English myself. He picked up in his daycare. However, when my husband and I realized that he is catching it so quickly, we also started speaking him in both Hindi and English. As of now, he is not as fluent as kids of other convent schools around, but he is able to communicate well. Tuneer’s reaction is though super funny. Kudos to you for communicating with Jr. T in only one language. I am Odia living out of the state and have exposure to multiple cultures. In an effort to teach Penguin, my 2 years old I speak the same sentences in 3 languages say Odia-English-Hindi. Add Marathi and Malayalam learned from neighbors as they can’t communicate in other languages. On a fine day, Penguin chooses to say a sentence having a word from each language. Even Alexa won’t understand that one. Loved this post again.